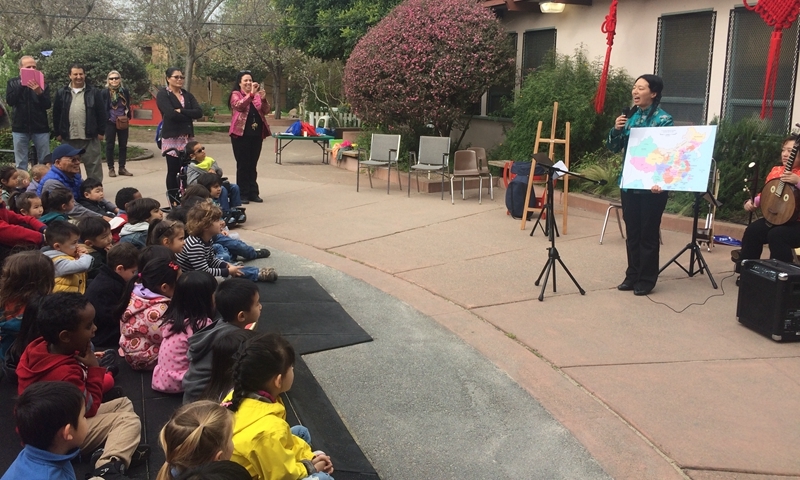 On Feb 26, 2016, Chinese Consulate General brought a wonderful traditional Chinese music performance to the Tule Elk Park School in San Francisco on the occasion of the school's multi-cultural day. More than 100 kids and teachers from the school watched the performance. The three musicians performed 9 songs such as Joyful Melody, Torch Festival, Golden Snake Dance,playing traditional Chinese music instruments like Daruan, Zhongruan, Guzheng and Erhu. 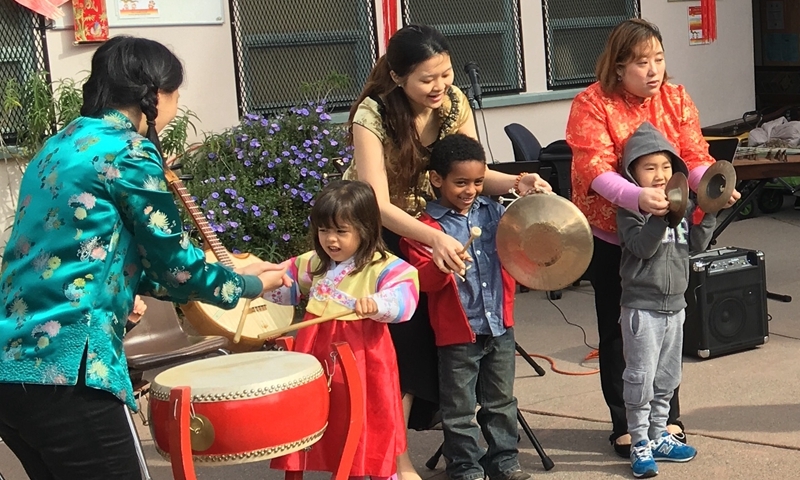 After that, kids rushed to try the Chinese percussion instruments like drums, gongs and cymbals. They also took questions from the consuls, which enhanced their knowledge on China.